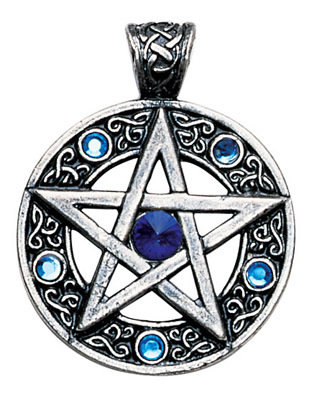 The magical pentagram encircled and enhanced by Celtic knotwork is the traditional amulet of the Celtic magician. For Willpower and Success. Approximate size: 1½" in diameter.